nuts and wearing/using scented products. Olinda-Ruthven - Choir Director and Organist - Lynn Mailhoit. April 15-17 -	Making Meat Piesat Olinda-Ruthven. To order call Linda 519.324.9664. $2.50 ea. Pickup time between 1-3pm Wed Apr 17. Only 2,000 orders taken before you are put on a waiting list. Thurs April 18,	6pm	-	Maundy Thursday Simple Supper and Communion at Olinda-Ruthven. 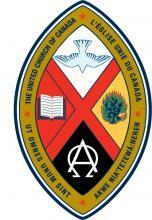 Tues May 7, 7pm -	Olinda-Ruthven UCW Meeting Devotions: Linda H.
Tickets $15. Adult; $7.50 ages 5 - 12; Free age 4 and under. Wed May 15, 7pm -	Trinity UCW Meeting Hostess and Devotions: Laura R.
email commenting on the Sunday Service and anything special upcoming. (for minister only) or public (to be verbally shared at the Sunday Service). or e-mail him minister@ruthvenpc.com Thanks. Sunday, April 28th, 1:00 pm, A very exciting event returns to Essex United Church! Tickets: $20, (Students: $10). Tickets are going fast. Call the church office to reserve your tickets 519.776.5121.
at Wheatley United Church, 59 Talbot Street West, Wheatley. Advance Tickets only $12.50 Adult; $5.00 ages 5 - 12; Free age 4 and under. Haiti Mission Fund - Buckets for your donations are at the back of the two Churches. The Ruthven Pastoral Charge sponsors The Callebasse Christian School in Haiti. Your donations help feed the children, give them a uniform and pay the teachers. The last Sunday of the Month a collection will be taken for the School. Thanks! 519-733-3341 or Glenna at 519-324-0243.
small jars of jam, Beef or Chicken Broth. Please watch for expiration dates.